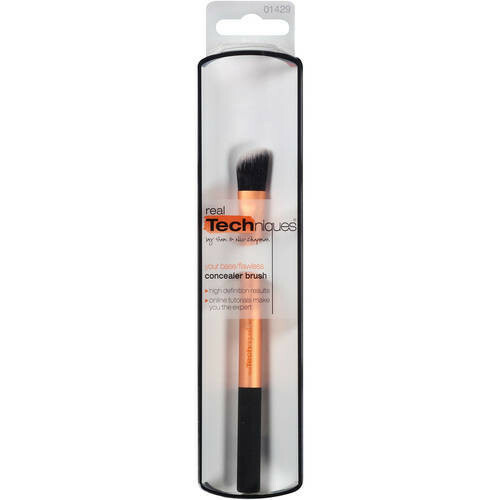 Beauty gurus Sam and Nic Chapman present their Real Techniques Concealer Brush. 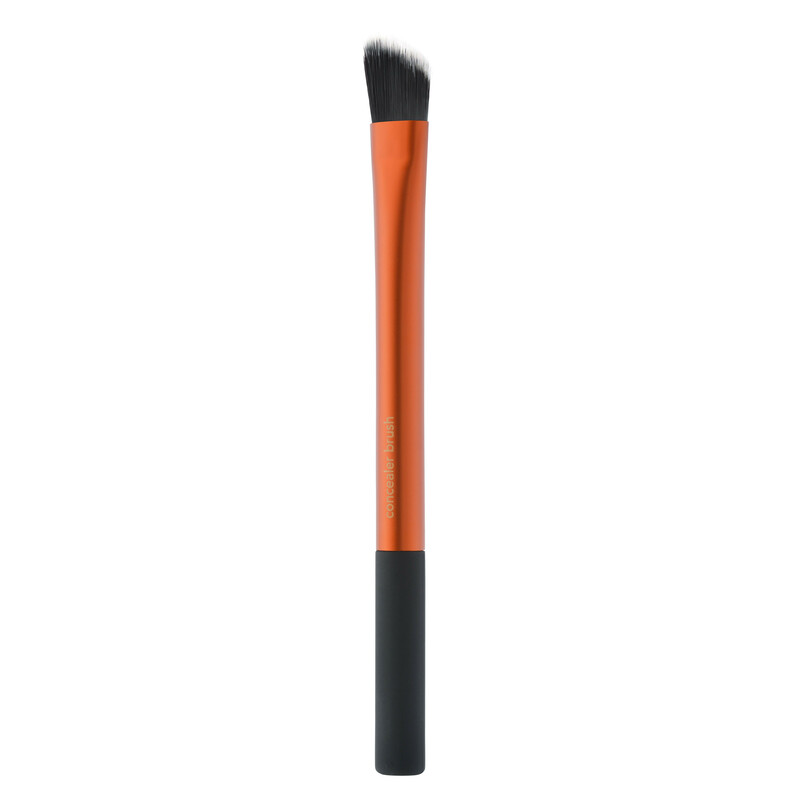 Part of the Real Techniques 'Base' range, identifiable by its copper coloured handle, the expert brush will help you achieve a flawless base, working precisely to conceal imperfections and pigmentation around the eyes and on the face. 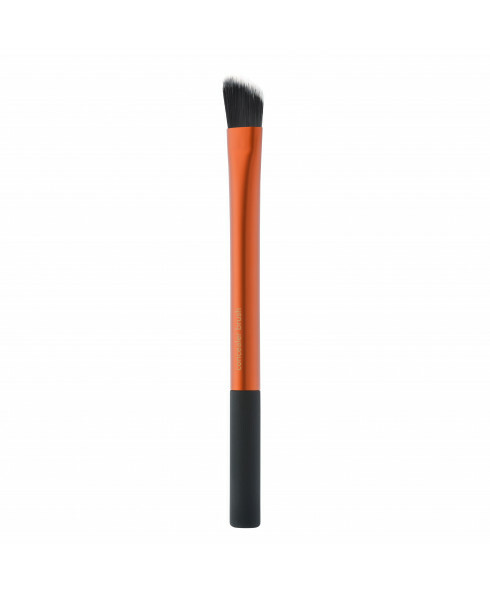 Perfect for use with a liquid or cream concealer, the angled brush head effortlessly and expertly applies makeup to skin, camouflaging problem areas whilst serving as a great tool for highlighting high points on the face, including the brow and cheek bones. Can also be used to apply foundation for a full coverage look. - K.N.